St. Vincent dePaul of Louisville says that oftentimes the needs of women are overlooked when donations are made to their shelter. 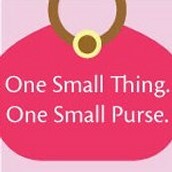 They are asking us to help them with a campaign called "purposeful purses." We are asking students to bring in new or gently used purses filled with women's winter gloves, women's socks, hygiene products, and snacks like granola bars. During the winter months, 300 homeless people seek St. Vincent dePaul for shelter each night. Please turn in purses by next Monday, December 7. 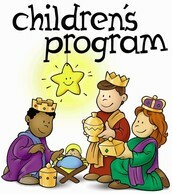 This will be our main service project for the Christmas season. 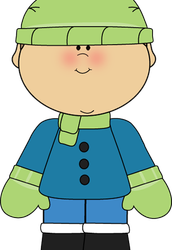 Please remember to send your children to school with clothing appropriate for cold temperatures (coats, gloves, leggings, etc.). 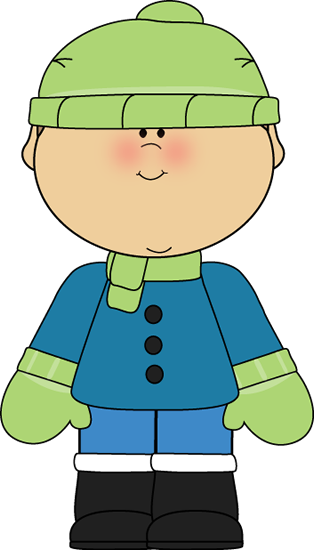 Unless it is below 32 degrees outside, children will be having recess every day. The 2016 Kentucky General Assembly is almost upon us. One important issue that will be brought up in Frankfort is Scholarship Tax Credit Programs. Parental choice is essential for quality education and scholarship tax credits will enable more parents to make that choice, no matter their economic standing. Over the next few months, you will hear about this issue from EdChoice KY. The coalition is educating the Commonwealth on Scholarship Tax Credit programs which allow individuals, businesses and banks to contribute money to a 501(c)(3) scholarship granting organization and in return, donors will receive a tax credit to offset their state tax liability. The scholarships ensure that all students have the opportunity to obtain the education they deserve at a school that best suits their educational needs. Help EdChoice Kentucky reach 500 Facebook likes and 500 Twitter followers by Christmas Day! 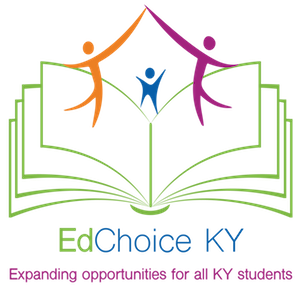 Sign up for the newsletter at www.edchoiceky.com! 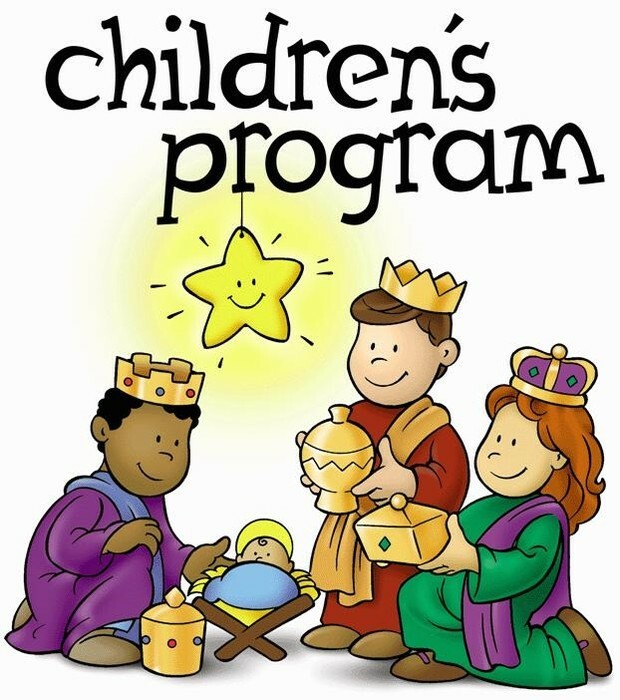 It's time for our annual St. Rita Christmas program, presented by the preschool through 3rd grades! Below is important information regarding our program. We hope that everyone can make it out to see our little ones perform. Students need to arrive by 6:15 in the church. The pews will be labeled with spots for classes to sit. Please sit with your grade level. The program will begin promptly at 6:30. It should be finished by 7-7:15. The program will take place at St. Rita church. Students are to wear something nice, as in something they may wear to church. Greens, reds, or Christmas dress are appropriate. Girls may wear dresses and boys may wear shirt and tie. Please no jeans, sweatpants or tshirts. Also, no silly headwear (reindeer antlers, etc). They all have been working very hard on getting this program ready. We are excited to help them present to you the "Many Gifts of Christmas"! If you have any questions, please feel free to contact kmerz@stritacatholicschool.com. Each family will receive an envelope in today's folder. The family's name needs to be printed on the line that says: Seller's name; and the student’s teacher’s name will need to be printed on the line that says Class/Group/Team. The rest of the envelope will be filled with the information of the gift card buyers. 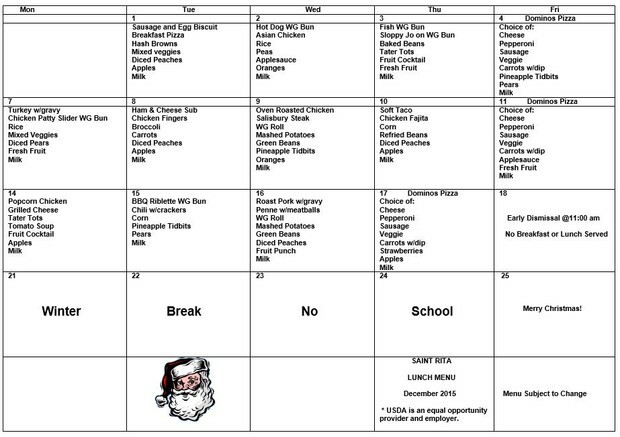 In order for the gift cards to be processed and returned to school before break, we will need all orders turned in no later than Dec 4th. With every dollar sold, 15% of that dollar will go back to St. Rita! It will add up fast! *THE TOP SELLER FOR EACH CLASS WILL EARN A DINNER FOR TWO! *THE CLASSROOM WITH THE HIGHEST OVERALL SALES WILL WIN A TEXAS ROADHOUSE PARTY! ANDY THE ARMADILLO WILL COME VISIT AND STUDENTS WILL RECEIVE A TEXAS ROADHOUSE KID’S MEAL IN THEIR OWN CLASSROOM! To qualify for the party, a minimum of $1000 must be sold. Sales will be evenly divided between all students homeroom classes in your family to determine winners. You’ll want to collect as many Boxtops as possible this year! 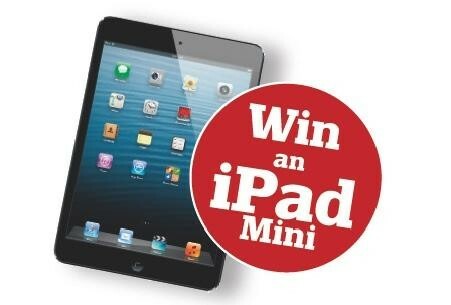 The family that brings in the most Boxtops will win an iPad Mini in May! Please make sure you send Boxtops in as you clip them because they do have expiration dates. We will track how many are sent. The family that sends the most throughout the year wins! SPECIAL DISCOUNT FOR ST. RITA FAMILIES ONLY! As a thank-you to St. Rita families for always showing their support, WW Cousins on Outer Loop would like to extend the following offer. For every Sunday starting November 1st through the end of December, WW Cousins on Outer Loop will offer 10% off all St. Rita Parish and School members orders. 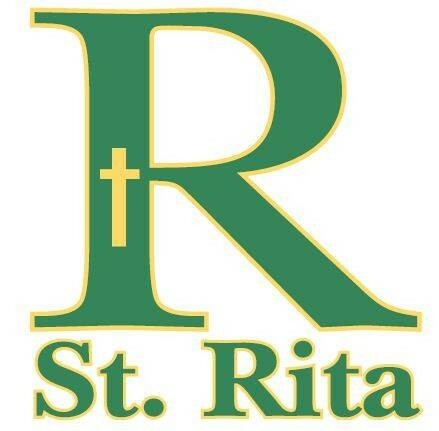 There will not be any coupons involved, you just simply tell them you are with St. Rita! We plan on having our January night out with them as well, so let’s all show them our continued appreciation for being a fabulous business partner with St. Rita! 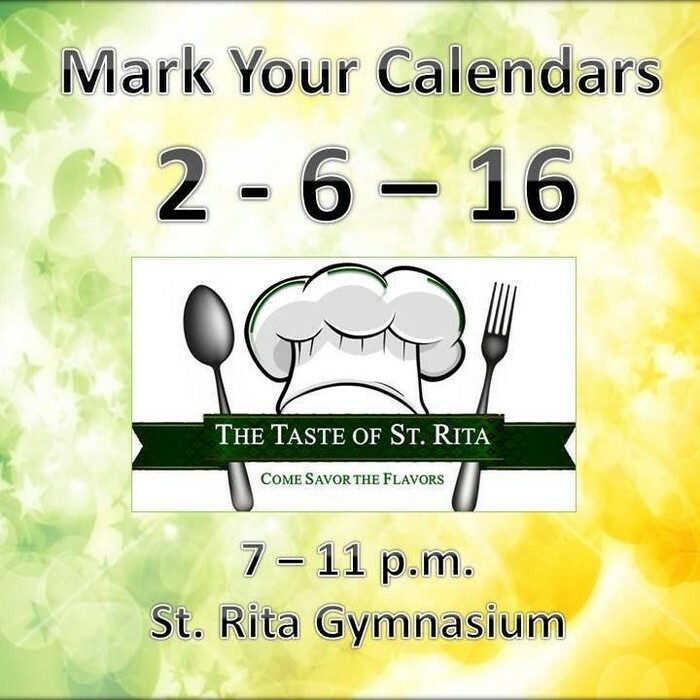 The Taste of St. Rita is a new exciting event coming February 6, 2016. It will be a chance for you to “taste” some of the area’s best restaurants. However, we couldn’t host this event without the help of our school and parish community. Do you own or work for a business that would be interested in being a sponsor? Do you own or work for a restaurant that would be interested in being a vendor? 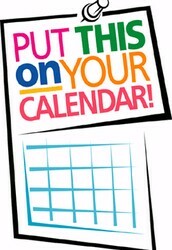 This will be an opportunity to expose businesses to potential customers. For sponsorship opportunities please contact: Jason O’Neal at 386-4053 jbird_145@msn.com. 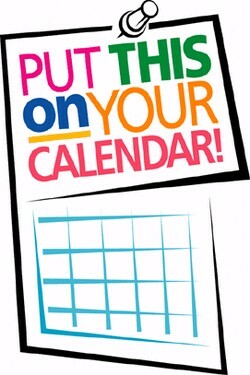 For vendor opportunities please contact: Nicole Young- Alves at 727-7079 nicoleyoungalves@gmail.com . We look forward to hearing from our school and parish families. 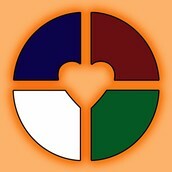 Like us on Facebook. Thank you for your help in making this a successful event. God bless. 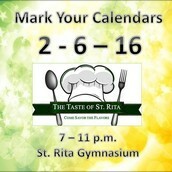 The Taste of St. Rita ticket pre-sale starts December 14th. Cost is $30 pre-sale, $40 at the door. Only 400 tickets will be sold to this 21 and over event. Whether we are raising children, in a relationship or living with extended family, we all have a common goal — to be happy. 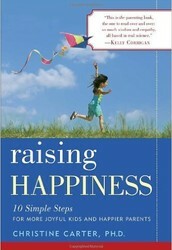 Christine Carter, Ph.D., acclaimed author of “Raising Happiness,” combines scientific research with practical tips to help us understand that happiness is a learned behavior — something that can be built, maintained and boosted at any age through some simple steps. Bring your spouse or partner, a friend or a loved one and come with questions for the speaker. To register for this free event, sponsored in part by the Norton Healthcare Foundation, online or call (502) 629-1234. 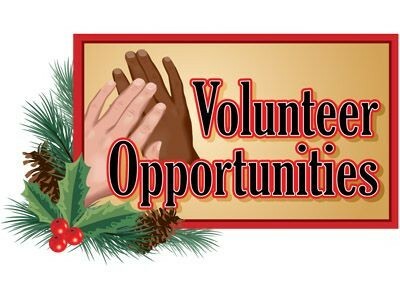 The PTO is in need of several volunteers that have had Safe Environment Training to help us out with an event on 12/16 from 12:15-1:45pm. You may contact Christy Weikert at 502-235-5731 or christyweikert@gmail.com for more information. The doors will open at 6:30 and the movie will begin at 7. Wear your most festive Christmas pajamas and bring a blanket to sit on! The cost is $3 per person and a can good to benefit St. Vincent DePaul (kids under 3 are free). 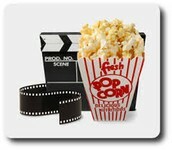 Admission includes viewing access to the huge movie screen, snacks, drinks, and a visit with our special guest! This is a family event. All children must be accompanied by an adult. This movie is rated PG. Fall Schedule of Wednesday’s Fourth Street LOVE! 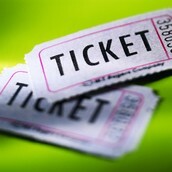 “EE” stands for Enrichment Encounter and is slated for any off campus events requiring permission forms. More information will be forthcoming! La Asamblea General de Kentucky del 2016 está casi sobre nosotros. Una cuestión importante que será traída en Frankfort son programas de crédito de impuestos de becas. La elección de los padres es esencial para una educación de calidad y créditos de beca permitirá a más padres hacer esa elección, sin importar su situación económica. En los próximos meses, escuchará acerca de este tema de "EdChoice" Kentucky La coalición es educar a la comunidad en los programas de becas de crédito que permiten a individuos, empresas y bancos a aportar dinero a una organización de concesión de becas de 501(c)(3) y a cambio, los donantes recibirán un crédito de impuesto para compensar su responsabilidad de impuesto de estado. Las becas aseguran que todos los estudiantes tienen la oportunidad de obtener la educación que merecen en una escuela que sea mejor y se adapte a sus necesidades educativas. ¡Ayude a llegar a los 500 "likes" de Facebook y 500 seguidores en Twitter en "EdChoice" Kentucky para el día de Navidad! Suscríbete a al boletín en www.edchoiceky.com! Es hora de que nuestro programa anual de Navidad de Sta. Rita, presentado por preescolar hasta 3er.grado A continuación es información importante acerca de nuestro programa, y estoy esperando que todo el mundo pueda ver a nuestros pequeñitos. Los estudiantes deben llegar a las 6:15 en la iglesia. Las bancas serán marcadas con lugares para las clases para sentarse. Por favor, siéntese con su grado. El programa comenzará puntualmente a las 6:30. Debe ser terminado par alas 7-7:15. El programa se llevará a cabo en la iglesia de St Rita. Los estudiantes deben usar algo bonito, como algo que pueden llevar a la iglesia. Colores verdes, rojos o algo apropiado de Navidad. Las niñas pueden usar vestidos y los niños pueden llevar camisa y corbata. Por favor, no jeans, pantalones deportivos o camisetas. Además, no sombreros (con astas de Reno, etc). Todos ellos han estado trabajando muy duro para que este listo este programa. Estoy emocionado de ayudar a presenter este programa para ustedes "Muchos Regalos de Navidad"! Si usted tiene alguna pregunta, no dude en contactarme en kmerz@stritacatholicschool.com. Gracias de nuevo, y espero verlos a todos allí! El sabor de Santa Rita es un nuevo emocionante evento que será el 6 de febrero de 2016. Será una oportunidad para "probar" algunos de los mejores restaurantes de la zona. Sin embargo, no podríamos organizar este evento sin la ayuda de nuestra comunidad escolar y parroquial. ¿Eres dueño o trabajas para una empresa que estaría interesada en ser patrocinador? ¿Eres dueño o trabajas para un restaurante que estaría interesado en ser un vendedor? Esta será una oportunidad para exponer empresas a clientes potenciales. Para oportunidades de patrocinio Contacte a: Jason O'Neal al 386-4053 o jbird_145@msn.com. Para oportunidades de proveedor por favor contacte: Nicole Young-Alves al 727-7079 o al nicoleyoungalves@gmail.com. Esperamos saber de nuestras familias, de la escuela y de la parroquia. Como nosotros en Facebook. Gracias por su ayuda en hacer de este un evento exitoso. Dios los bendiga. El sabor de Sta. Rita inicia el 14 de diciembre. Costo de pre-venta de $30, $40 en la puerta. Sólo 400 entradas se venderán a este 21 evento y más. Cada familia recibirá un sobre en la carpeta de hoy. El nombre de la familia debe imprimirse en la línea que dice: nombre del vendedor, y nombre del estudiante y la maestra en la línea que dice clase/grupo/equipo. El resto de los sobres se llena con la información de la tarjeta de regalo de los compradores. A fin de que las tarjetas de regalo sean procesadas y regresadas a la escuela antes de las vacaciones, necesitaremos todos los pedidos girados no más tarde del 4 de diciembre. ¡Con cada dólar vendido, el 15% de ese dólar será para Sta. Rita rápidamente! ¡Premios! * EL QUE VENDA MÁS DE CADA CLASE GANA UNA CENA PARA DOS! ¡*EL SALÓN DE CLASES CON LAS VENTAS TOTALES MÁS ALTAS GANARÁ UNA FIESTA EN EL TEXAS DE ROADHOUSE! ¡Y ANDY EL ARMADILLO VENDRÁ a VISITARLOS Y LOS ESTUDIANTES RECIBIRÁN UNA COMIDA DE ROADHOUSE KID DE TEXAS EN SU PROPIO SALÓN DE CLASES! Para calificar para la fiesta, un mínimo de $1000 deben venderse. Las ventas se divide en partes iguales entre todos los estudiantes de la clase y su familia determina los ganadores. ¡Querrán reunir tantos "Boxtops" como sean posibles este año! La familia que traiga la mayor cantidad de "Boxtops" ¡ganará una Mini iPad en mayo! Por favor, asegúrese de enviar todos sus "Boxtops" rápidamente porque tienen fecha de vencimiento. Vamos a realizar un seguimiento de cuántos son enviados. La familia que envíe más a través del año será el ganador! Si estamos criando hijos, en una relación o viven con familiares, todos tenemos un objetivo común: ser felices. 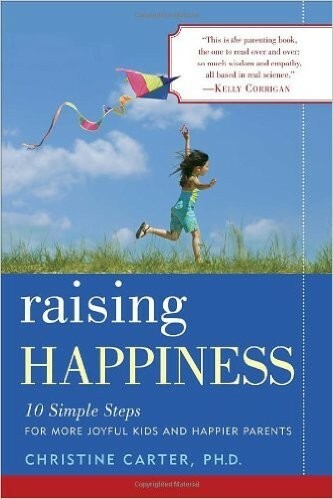 Christine Carter, PH.D., aclamado autor de "Aumentar la felicidad", combina la investigación científica con consejos prácticos para ayudarnos a comprender que la felicidad es un comportamiento aprendido, algo que puede ser construido, mantenido y potenciado a cualquier edad a través de algunos pasos simples. Traiga a su cónyuge o pareja, un amigo o un ser querido y venga con preguntar para el altavoz. Para inscribirse en este evento gratuito, patrocinado en parte por el Norton Healthcare Foundation, en línea o llame al (502) 629-1234. ¡DESCUENTO ESPECIAL SÓLO PARA LAS FAMILIAS DE STA. RITA! Como agradecimiento a las familias de Sta. 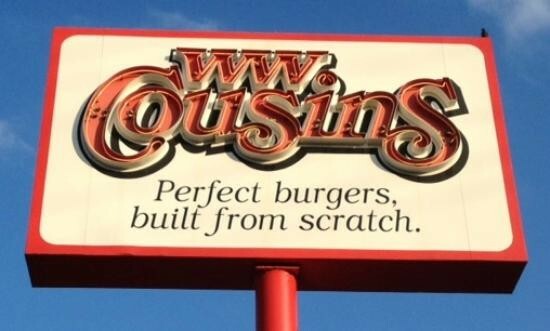 Rita por siempre mostrar su apoyo, El restaurante "WW Cousin" en Outer Loop quisiera hacer extender la siguiente oferta. Para todos los domingos a partir del 1ro. de noviembre hasta finales de diciembre, el restaurante "WW Cousin" en Outer Loop ofrecerá 10% de descuento en todos los pedidos a los miembros de la escuela e igleisa de Sta.Rita. No habrá ningún cupón involucrados, simplemente les dices que estás con Sta. Rita! Planeamos en enero tener nuestra noche de salir a comer con ellos, así que vamos a que mostrarles todo nuestro continuo agradecimiento por ser un socio de negocios fabulosos con Sta. Rita! El "PTO" está en la necesidad de varios voluntarios que han tomado el entrenamiento de "El ambiente Seguro" para ayudarnos con un evento el 12/16 de 12:15 a 1:45. Contacta a Christy Weikert al 502-235-5731 o christyweikert@gmail.com para más información. Las puertas estarán abiertas a las 6:30p.m. y la película empezará a las 7p.m. Ponte pijama con motivo navideño y trae tu colcha para sentarte! Horario de otoño de los miércoles "Fourth Street LOVE!" "EE" significa Encuentro de Enriquecimiento y está programado para cualquier evento fuera del campus que requiera formas de permiso. ¡Más información será enviada pronto!